Alta Motors is onto some next level sh*t when it comes to the electric motorcycle game, and riding one is an experience like none other. That’s a bold statement – I know – but ask anyone who’s ridden an Alta Redshift what it’s like, and I’d bet the farm they’d tell you it was a hoot. We just rode the 2019 Redshift EXR and have come away truly impressed. The EXR is essentially an MXR (Alta’s top level motocrosser) with turn signals, and let me explain why that’s a good thing. Oh, and did I mention it’s street-legal? Dual-sport motorcycles all fall somewhere in the spectrum between off-road and street use. Some land in the middle with hopes of handling double-duty, but as a result, do neither well, while others lean to either side. A street-focused dual-sport is just that – street-focused. It gets around town nicely and odds are the owner bought it because they liked the look and ruggedness of a road-going dirtbike (nothing wrong with that), but take it to the dirt and you’ll quickly recognize it’s more of a streetbike with dirtbike fenders than anything else. On the other hand, if you get yourself a dual-sport that leans to the off-road side of things, like the Redshift EXR, you’ll get to experience the possibilities a true dual-purpose motorcycle can offer. Plus, it will ride and handle street duty just fine compared to a street-focused dual-sport, but that’s not why you bought a dual-sport in the first place. Few people buy a dual-sport for heavy street use. Rather, they probably bought one with visions of riding down the road and up into the mountains / hills / trails / sand pits / whatever your local region offers / etc., but a streetier dual-sport will only get you so far. It basically comes down to the “all squares are rectangles but not all rectangles are squares” logic. Meaning, an off-road focused dual-sport can do it all, but a street-focused one simply cannot, and we’re here to tell you the Redshift EXR does it all. Back to the whole MXR-dirtbike-with-turn-signals thing. Of course, that’s not the only difference between the two – the EXR also has a headlight and taillight (duh), mirrors, 21-inch front and 18-inch rear wheels wrapped in DOT-compliant Metzeler Six Days Extreme knobbies, and its WP suspension is tuned differently, making it better suited for street and off-road duty. But other than that, the two are virtually the same. WP componentry graces both the front and rear suspension with an XPlor 48 fork and a custom Alta spec shock in the rear. The EXR also comes with a polyethylene skid plate from the factory to protect your underbits. We started our ride on the 2019 Redshift EXR on the streets of none other than Alta’s hometown turf of San Francisco, a city whose streets’ steep climbs and descents can be difficult for a motorcyclist to navigate. Add in trolleys and their tracks – which can easily derail you from your intended line if you’re not careful (pun intended) – and you’ve got your hands full. But not really, because there’s no clutch to operate or gears to shift which means there’s no fear of stalling anywhere, ever. Just roll on the throttle, and the EXR will tractor up and over anything and everything you point it at. The world’s quietest biker gang mobbing the streets of downtown San Francisco. Most people didn’t hear us coming, and when they saw us, were shocked. But being the tech-heavy city San Fran is with its proximity to Silicon Valley, some people were barely even impressed… idiots. Just like the other Redshift variants, the EXR’s motor has four output maps ranging from mild to wild. 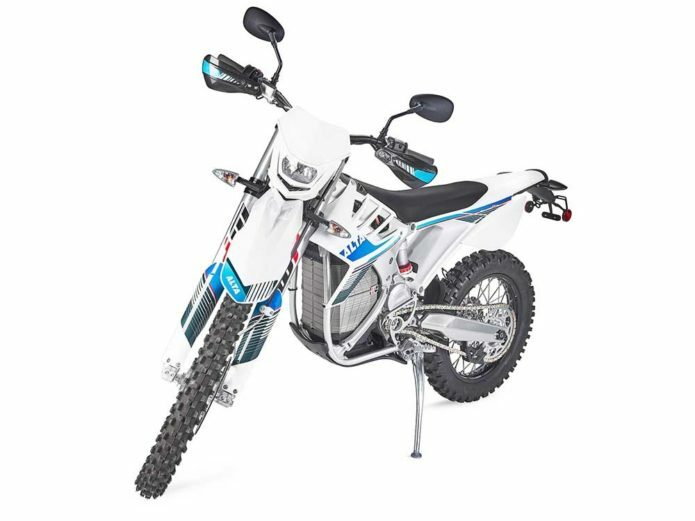 Map 1 is the mellowest and is easy enough for even a total beginner to use, but don’t be fooled, the EXR’s 50-horsepower motor also delivers 147 lb-ft of torque (at the front sprocket, 42 lb-ft at the tire through a 3.53:1 gear reduction), and it’s all available from a dead stop and at any point throughout the entire rev range. At the slightest flick of the wrist, the EXR propels itself forward with authority. The switch housing on the left next to the mirror has up and down buttons that let you to flip through the EXR’s four different maps at any time, allowing you to tailor your riding experience depending on trail or road conditions. On the right hand side, the red toggle switch on top acts as a traditional kill switch (which should be in the off position when not in use because it’s easy to think the bike is off because it doesn’t make any noise at “idle”, meaning someone could accidentally whiskey throttle into next week if they’re not careful). Maps 2-4 increase the power gradually along with various tweaks for different output characteristics including more engine braking in maps three and four. You can feel a major difference clicking from two to three in not only power delivery, but engine braking too. I started off on the street in Map 1 to get a feel for how the rear tire would behave under heavy throttle on the road because after all, it is a knobby. To my surprise, a heavy whack of the throttle could light up the rear tire no problem, especially from a stop, but it was still mellow enough that breaking the rear end loose and maintaining traction was never a problem unless you made it one. Right, onto Map 2 then. It was in this map where I spent most of the afternoon riding around in San Francisco because anything more is kind of unnecessary. Little twists of the right grip resulted instantaneous passing of anything you were trying to get around. Oh, and all that torque meant keeping your front tire on the ground was a challenge – too tempting not to give in to for my poor soul, unfortunately. But be careful, the police don’t like it when “your steering axle isn’t touching the ground” – something a police officer once nabbed me for many moons ago. Thin and nimble, the EXR dances through congested city traffic like a coked-out ballerina – perfect if you plan on doing any commuting. Map 3 really kicks it up a notch, as Emeril likes to say, and the EXR starts pulling with arm stretching force. A flick of the wrist in this output setting and the front end is either coming up or the rear is breaking loose, so hold on. Three and four are definitely overkill for the street, but man, are they fun for some real hooligan shenanigans. Map 4? Leave room in your budget for tires in map 4 because it’s all business. Acceleration in this map rivals any 1000cc motorcycle, and things truly get blurry in a hurry. Leaving the line in map 4 means you can lay rubber tracks – thick, black ones (hey, minds out of the gutter, people) – for about as long as you want or until you run out of room, which happens quickly as the EXR accelerates with alarming force up to its 71-mph top speed (in stock gearing). We hopped on the freeway for a bit to see how the EXR moved along at elevated speeds, and it did just fine so long as you didn’t try any super quick or twitchy maneuvers. Its 26.3-degree rake is a nice middle ground for sharp steering and straight-line stability. If you plan on logging a lot of highway miles, then a dual-sport (regardless of make) isn’t the bike for you, but if a quick jaunt here and there is normal, which for most of us is, then the EXR will do it without any hiccups. People seem to care very little about a dirtbike riding on a walking path when they realize it’s electric. Basically, an electric dual-sport is pretty much a license to do whatever you want, but you didn’t hear that from us. With the Alta Redshift EXR, riding the streets will mostly consist of commuting, errand running or getting you to the trails – no more loading or unloading your truck! Make no mistake, it’s in the dirt where the EXR shines brightest. Like I mentioned before, it’s an MXR with turn signals. One of Alta’s main goals, besides building and selling motorcycles, is giving a motorcyclist a bike that will allow them to become the best rider they can be. I didn’t really understand what this meant until we were deep in Northern California’s woods in Nevada City just outside Lake Tahoe. We rode some really technical tree-lined single-track trails with roots, rocks, ruts and all sorts of hairpin turns that climbed up and over mountains and down into ravines – trails with obstacles that could take you out at any moment that would have required a lot of clutch work and precise line selection to successfully navigate. Off-road and in the dirt is where the EXR really excels. Lose the mirrors and you can’t tell this bike is actually street-legal. The Cycra hand guards are also a really nice factory touch that will save you a couple bucks from having to purchase them separately from the aftermarket. So silent you’re almost hidden in plain view. What stood out to me most riding through these technical trails was that I was really able to focus on my line selection because I never had to worry about stalling or being in the right gear. It was just point and shoot. Also, I should mention I started off in Map 2, which really laid the power down smooth. Another thing I noticed was how much smoother I felt riding and how much more balance I had, rarely taking my feet off the pegs. Coming into turns I realized I was able to get on the gas much earlier, or on the throttle rather – sorry, old habits die hard. There was no need to feather the clutch, and as a result, I was able to focus on my balance and speed instead. There were literally hairpin turns around trees in which I didn’t even need to put a foot down with the steering at full lock. If at any point you found yourself in a tough spot, the EXR could tractor up anything with the right throttle control. Balance, body position, throttle control and looking where you want to go are the keys to riding smooth and fast. The Redshift EXR lets you focus on just that without having to worry about modulating the clutch, stalling or being in the wrong gear. This is what Alta means when they say they’re building a bike that will allow a rider to be the best they can be, and honestly it’s true. Riding an Alta is a very unique experience, and you’ll witness yourself doing things you might not have thought you were capable of – it’s empowering in a sense. After giving map 2 a go I bumped it up to 3. Again, there’s a big jump in power from two to three, but the difference I liked best was the increase in engine braking. I was able to dive into turns using very little braking except for maybe a slide here or there just to pivot the rear around. This is when I felt myself going faster and smoother than I probably would have on my CRF450R. I was flowing, a term riders use when you’ve got rhythm and everything including your body and bike are operating in sync as one. It’s addictive, and you feel like a hero. For the type of terrain we were riding, Map 4 was overkill, but if you find yourself climbing big hills or riding in more open areas, Map 4 is there with all the power you can handle. The EXR tips the scales at 273 lbs, which is actually two pounds less than a 2019 Honda CRF450X, and it can slice and dice its way through the woods with no problem. Never once did I think the EXR felt sluggish or heavy. On top of that, if you did get tired out in one of the higher maps, you could always click it down to a mellower one. Now, for the big question: range. The single-track loop we rode was 15 miles long and I started off in Map 2 and rode 80% of it in 3. When we got back, the battery had just over 50% left. So theoretically, in Map 3 you might be able to squeeze 30 miles in, but I wouldn’t count on it. In Map 4, obviously less, and Alta says you can get up to 60 miles if you keep it in 1 or 2, but of course this depends on the type of rider you are, how hard you’re twisting the throttle and what terrain you’re traversing. On the bright side, Alta claims the 2019 Redshift EXR with its new software takes only 1.5 hours to charge from fully dead on 240v, and 3 hours on 120v, which is twice as fast as the 2018 model. After our 15-mile loop, we plugged the bikes into gas-powered generators for a little over a half hour while we ate, and they were fully charged by the time we were done. A partially charged battery will get up to full power in much less time than when it’s fully depleted, so keeping it plugged in when not in use will keep you riding more and waiting less. More of this, please. Oh, and just for the record, Alta doesn’t have anything against gas-powered motors, and they’re definitely not self-righteous in that sense whatsoever. They’re all gear heads and love their regular ICE bikes, but they’ve found a way to do motorcycles differently, in a way that makes a lot of sense to a lot of different people with various levels of riding ability. To wrap it all up, Alta is doing something special and building bikes unlike anything else. Having so much instantaneous power and torque is a sensation many of us riders have never felt, and it takes a little while to get adjusted to. But as soon as you figure it out and adapt your riding technique, it’s a whole new, unexplored world out there – on- or off-road. All the mechanics of riding the bike are the same as a gas-powered one – there’s no reinventing the wheel here – but the experience is entirely different. There’s the lack of sound for one, which really isn’t all that weird after a while. It’s actually really nice to hear what’s going on around you, but getting used to what your tires sound like is the biggest difference. Ultimately it better communicates what’s happening in the traction department so you can be more in tune with your bike. Oh, and get ready to answer questions from other drivers and pedestrians. A 2019 Alta Redshift EXR could be yours to the tune of $12,495, which may sound expensive, but tune-ups and the overall cost of ownership are not. You’ll never have to change the oil, clean the air filter or adjust valves ever again. Just keep your chain lubed and air in the tires, and you’ll be zipping off into the sunset in no time. And finally, Alta owners can update their bikes to the latest operating system by downloading whatever they need to make it happen in just a few clicks . So when a new generation Alta comes out with improved mapping or system updates, you can download those same settings and upload it to your bike to keep current… Pun intended.